What do Reservoir Dogs, Ocean’s Eleven, and Finding Steve McQueen have in common? They all deal with a group of individuals selected to partake in a dangerously risky heist. The big difference is that the former two are actually great films. 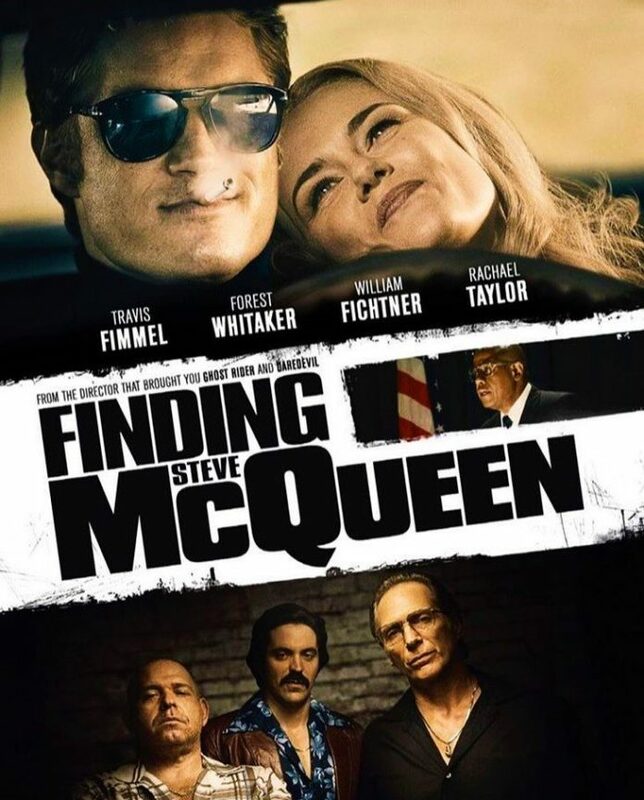 Finding Steve McQueen tells the real-life story of a group of bank robbers, who in 1972 stole $12 million from United California Bank in Laguna Niguel, CA. They’re a reasoning being that the money had supposedly belonged to Richard Nixon, who had allegedly obtained it from Jimmy Hoffa under the guise of a “campaign donation” in exchange for a Presidential pardon. The film stars Travis Fimmel as Harry Barber, William Fichtner as Enzo Rotella, Rachael Taylor as Molly Morphy, Forest Whitaker as Howard Lambert, and Lily Rabe as Sharon Price. The film is told through a serious of flashbacks, in which Harry Barber recounts to his ex, Molly, the tale of his infamous heist. At first everything seemed to go off without a hitch, but as the years dragged on and a persistent federal agent remained hot on the group’s tail, Harry came to find that his chances at settling down were over. The performances in the film are great, especially from that of the always terrific William Fichtner, who steals every scene he’s in. The only major flaw of the film is that it relies too much on cliche after cliche. Guns, car chases, guilt from the film’s lead, we’ve seen it all before. This doesn’t come as too huge of a surprise as the film is helmed by Mark Steven Johnson, who is probably best known for directing Daredevil (2003) and Ghost Rider (2007). Finding Steve McQueen can be a fun watch, but only if you really have no better way to occupy your evening.